Can I say that now that we have been in Texas over a year? :) Happy First Day of Autumn! 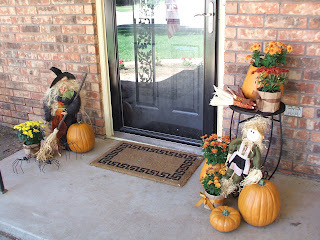 I decided to bring fall/Halloween to the front porch on Friday. 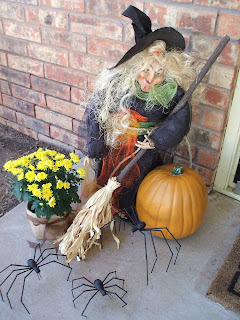 I got this witch from my friend Holli at a neighborhood yard sale we had back in Idaho. We call her Melissa~we won't go into the reasons behind that one. The fun spiders my mom found at a cute shop in Logan, Utah when we lived there and then something like them showed up at the Dollar Tree a little while later. My kids have loved them and they often disappear from the porch and are found among the Power Rangers and Incredibles. 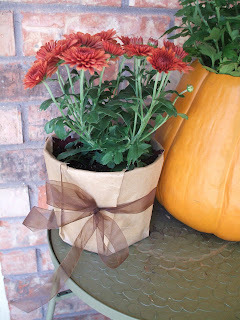 I kept some of the mums in their containers and just wrapped them with a brown paper grocery bag and some ribbon to froof them up a little. girlfriend! you are TOO CREATIVE and awesome! (save some of that creative juice for the rest of us!) 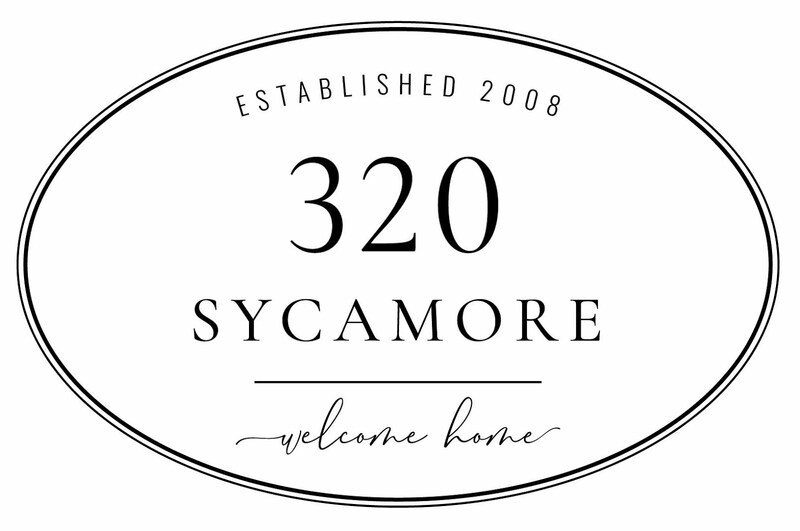 Seriously... your house is always top notch and looking like it should be in a magazine. 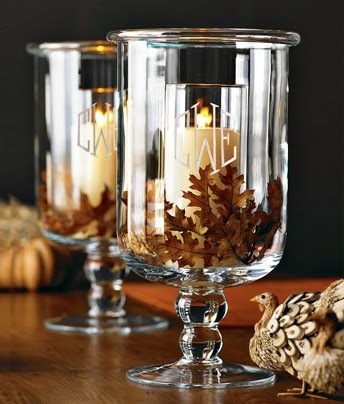 thanks for this fall decorating inspriation! Oh how smart to wrap your Mums up this way. I have got to copy that idea...Love your decor! I really need to get with my decorating this week. CUTE ideas. More of them to copy for me! 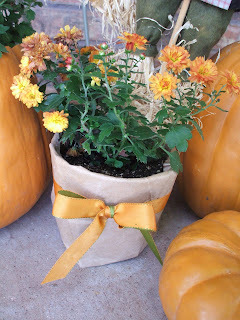 I especially love the mums in the bag with the fall ribbon. Love it! 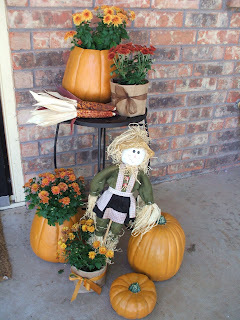 I love those pumpkins and am glad we could all cash in on your mom's deal! Oh I am in love with your ideas! I love the pumpkins used as containers. So cute!! 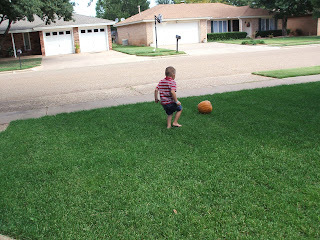 I can't wait to get some of those fake pumpkins on clearance this season so I can copy you next season! girl...as usual, your stuff is way cute! I am sooo jealous! Can't wait till we are in our own place again and I feel motivated to do cute stuff like that again!!! Ahhh, some day soon hopefully! Oh my goodness! 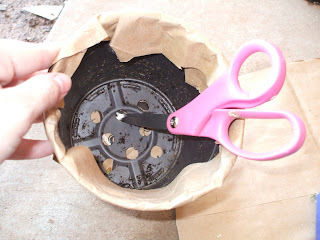 That is too cute how you wrapped the planters! How creative!